We are happy to announce starting a contest today which will help us determine who will be the 2019 food truck taco of the year. Over 10 years ago Roy Choi’s Kogi Truck kick started the gourmet food truck industry. It was centered on his Korean fusion version of the traditional taco truck cruising the streets of LA. 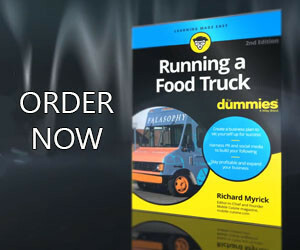 Since then, taco trucks are commonly one of the first types of food trucks to enter local markets. Besides the traditional Mexican style, there have been many types of fusion styled tacos attempted, some have failed, but many more have succeeded. 6 years ago we started a contest to find out which food truck was serving our readers favorite taco. Will last year’s winner Lloyd Taco Truck. of Buffalo, NY reclaim their title or will we have a new winner. Today we are starting our search for the best in 2019. This contest opens today and will be run in two stages. For the next two weeks (we will accept emails submitted by 11:59 PM Eastern Time on Friday February 1, 2019) we will give our readers to submit their choices via email to: contest [at] mobile-cuisine [dot] com, and once the votes have been collected, we will open a poll on Monday February 4, 2019 to allow voting from the top 10 email submissions. To be eligible for the final poll for the 2019 food truck taco of the year, the food truck needs to have opened before January 2019 and must regularly serve the taco dish from their truck, cart or trailer. The ingredients of the taco can be any combination of flavors (traditional or fusion), or cuisine and the taco can be served in a hard or soft shell. The trucks can be located in any country so feel free to submit choices from outside of North America. We look forward to receiving your submissions. Food truck owners are free to submit their own trucks for consideration. Voters may vote as often as you wish. The only request we have is that you submit one entry at a time and include the name of the truck, the taco name as well as the city or area the food truck operates in. So let the voting for the 2019 Food Truck Taco of the Year begin. And remember, vote early and vote often.